SUDBURY — Scoring goals continues to be prevalent in the Northern Ontario Junior Hockey League. A look at the numbers sees NOJHL contests averaging 7.58 tallies per game between the two sides that are competing against each other on a given night. In 118 league games so far this season a total of 894 goals have been scored, including nearly half of them by the top three clubs in the overall standings. The 7.58 GPG average is the second highest total in the Canadian Junior Hockey League with only the Quebec AAA Jr. loop registering more markers per contest at 8.69. Overall you’ll find that the top four leagues and five of six in goals-per-game average are in the Eastern portion of the country. After the LHRAAAQ and NOJHL the Superior International Jr. Hockey League is third at 7.46 GPG followed by the Maritime Hockey League in fourth at 7.31. Manitoba rounds out the top five at 6.97 with the Ontario Jr. Hockey League sitting in sixth at 6.94 and the Central Canada Hockey League seventh at 6.69. It is the three Western most leagues that comprise the CJHL that boast a more defensive style of game the junior A leagues of Saskatchewan, British Columbia and Alberta coming in at 6.25, 6.16 and 6.11 goals-per-game respectively. MORE THAN AVERAGE: Despite the NOJHL being second nationally in goals-per-game average so far this season, a pair of the league’s netminders continue to hold their own defensively. Both Joel Horodziejczyk of the Soo Thunderbirds and Greg Dodds of the North Bay Trappers sit in the top 25 in the entire CJHL in goals-against average. Horodziejczyk, who leads all NOJHL puck stoppers in GAA at 2.30, is also tied for 15th best nationally while Dodds is knotted for 21st at 2.36 among those who have played a minimum of 900 minutes to date in 2012-13. With Dodds registering a NOJHL-best 18 wins on the campaign his efforts in posting a .922 save percentage has him sharing overall No. 15 in the CJHL while Horodziejczyk is close behind tied for 17th at .920. ON THE SLATE: Weekly action in the NOJHL gets underway tonight with a highly anticipated match-up with the surging Sudbury Nickel Barons hosting the league-leading Soo Thunderbirds in a 7:30 p.m. start at McClelland Arena. Sudbury enters the contest red-hot having reeled off a current NOJHL-high nine consecutive victories. This will mark the fifth meeting of the season between the two sides with the Thunderbirds winning the first two contests and the Nickel Barons coming away victorious the previous two get togethers. Friday’s lone match-up features Elliot Lake heading to Kirkland Lake in a 7:30 p.m. face-off at The Joe. The Gold Miners have won four of the first five the two sides have played, including getting a pair of game-winning markers from Jean-Michel Naud. Among the trio of tilts on the docket Saturday is make-up game between Sudbury at Kirkland Lake that was postponed earlier this month due to inclement weather. They have split the first four encounters with Chris Komma of the Miners and Alex Laino of the Barons both picking up two victories apiece in net for their respective squads. Also on tap Saturday is Sault Ste. Marie on the road at Blind River and Elliot Lake travelling to Iroquois Falls to tangle with the Abitibi Eskimos. The T-Birds and Beavers have battled to two triumphs each so far this season including a pair of contests that required overtime to determine a winner. After Elliot Lake won the first-ever meeting between the clubs, Abitibi has come back to win the last three thanks in part to a couple of game-winners netted by Ryan Kerr. All three games get underway at 7:30 p.m.
Wrapping up weekly play in the NOJHL will be a Sunday matinee as North Bay hosts Abitibi in a 2 p.m. at Memorial Gardens. It is the first get together between the two sides since Nov. 11. It’s been all Trappers in the season set as North Bay has won the first three contests, including the opener that was decided in double overtime. Brandon Janke had the winner in that one as well as winner back in their last meeting. 2013 DUDLEY-HEWITT CUP: The North Bay Trappers will serve as the host team for the 2013 Dudley-Hewitt Cup Central Canada Jr. A championship. The five-day event is being staged at North Bay Memorial Gardens April 30 through May 4. Joining the Trappers will be the NOJHL champion or finalist along with the title holders from the Ontario Junior Hockey League and the Superior International Junior Hockey League. In the OJHL the Trenton Golden Hawks and Georgetown Raiders are tied for first place overall with 65 points apiece. Trenton does however hold two games in hand and also boasts the top winning percentage in the league at .739. The Buffalo Jr. Sabres are close with 64 points and hold the second-best win rate at .711 just ahead of Georgetown’s .707. Pacing the SIJHL is the Minnesota Wilderness who sits in first place at 37-3-1 and is the No. 2 ranked club in the Canadian Jr. Hockey League. They have only loss one in regulation since Oct. 24. Sitting in second in the SIJHL standings are the Dryden Ice Dogs at 26-16-0-1 and 53 points overall followed by the Fort Frances Lakers in third. They are 23-13-1-2 on the campaign. NOJHL THREE STARS: In a week of play that featured about as balanced scoring for individual statistics as we have seen all year, three newcomers garnered the spotlight. It is those skaters who garnered “NOJHL Three Stars of the Week” laurels for the period concluding Jan. 20. CRAY ROBERGE – BLIND RIVER BEAVERS: With post-season play right around the corner, rookie Cray Roberge is starting to hit his stride at just the right time. The-16 year-old rookie forward from Valley East is currently sporting a five-game scoring streak with Blind River, after suiting up with the Barrie Minor Midget AAA Colts one year ago. A seventh round draft pick of the OHL Colts, Roberge has recorded nine of his 15 points on the season since the beginning of January, playing primarily on a line with Corey McEwen and Travis Jones. Roberge was named first star last Saturday as the Beavers bounced the Elliot Lake Bobcats 7-2. DEVAN TURCOTTE – NORTH BAY TRAPPERS: Another first star selection last week in a win vs. Elliot Lake Friday, Devan Turcotte played all three weekend games, much to the delight of the Trappers coaching staff. The 20-year-old forward did so in style, scoring three times in as many games as North Bay continues their neck and neck battle with Sault Ste. Marie for overall NOJHL supremacy. Nagging injuries have limited the availability of the son of former NHLer Darren Turcotte. However, when he is in the lineup, Turcotte adds even more balance to a Trappers offensive arsenal that features no less than 15 players in double digits. ANTHONY MILLER – SOO THUNDERBIRDS: Little surprise that the Soo Thunderbirds have moved lock-step with North Bay in showcasing a balanced attack, featuring 14 players of their own that have exceeded the 10-point plateau. Sitting fifth in that grouping, forward Anthony Miller racked up five points in a pair of games, bringing his season total to twenty-nine. The native of Sault Ste. Marie celebrated his 19th birthday with a goal and an assist in an impressive win over North Bay. He then added another three points the following night versus Elliot Lake. Miller comes to the Thunderbirds after playing for his high school team, the St. Basil’s Saints, during the 2011-12 campaign. CJHL TOP 20: The top two clubs in the Northern Ontario Jr. Hockey League standings continue their hold in the Canadian Jr. Hockey League Top 20 rankings. Moving up two notches in the CJHL listings to No. 14 are the NOJHL-leading Soo Thunderbirds while the second place North Bay Trappers were tabbed 17th nationally in the rankings, which are tabulated each week in conjunction with NHL Central Scouting. Sault Ste. Marie leads the NOJHL with a 23-5-3-3 overall record, two points ahead of North Bay who are currently 22-6-3-3. Back again for another week as the top ranked team in the CJHL are the Brooks Bandits of the Alberta Jr. Hockey League. They possess the best record in both the AJHL and CJHL at 40-2-2. There is also no change in the rest of the top three in the CJHL as the Minnesota Wilderness of the Superior International Jr. Hockey League have maintained their hold on the No. 2 spot while the Maritime Hockey League’s Summerside Western Capitals still ranked No. 3 in the CJHL. At 37-3-0-1, the Wilderness are in first place in the SIJHL including having gone 21-0-0-1 in their last 22 outings having not lost in regulation since Oct. 24. The 2013 Royal Bank Cup host Capitals are also red-hot having reeled off 12 consecutive victories as they hold down top spot in the MHL at 31-6-2-0. The following are the CJHL Top 20 as of Jan. 21 listing their overall ranking, their listing last week, the team as well as the league they are a member of. Honourable Mention: Whitecourt Wolverines (AJHL), Nipawin Hawks (SJHL), OCN Blizzard (MJHL), North York Rangers (OJHL), Carleton Place Canadians (CCHL). The CJHL is an amalgamation of 10 Jr. A hockey leagues across Canada. 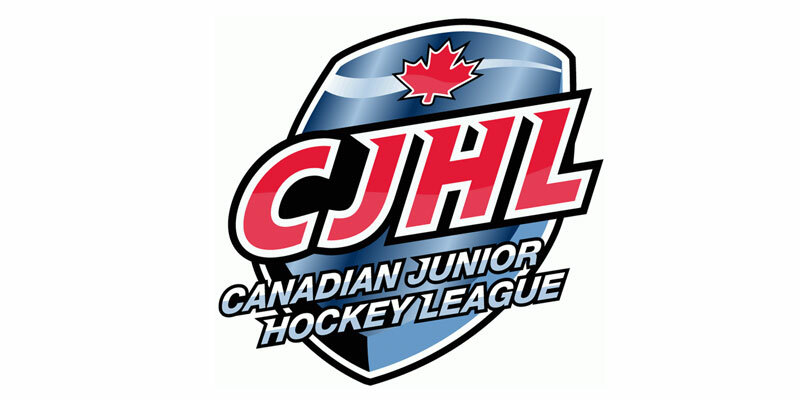 More information on the CJHL can be found by visiting the league website www.cjhlhockey.com. ABITIBI ESKIMOS – Abitibi takes to the ice twice this week as they are home to Elliot Lake Saturday evening before heading to North Bay Sunday afternoon. The club is tied for fifth in league standings with Blind River. … Ryan Wildman leads the team offensively with 32 points, including 13 goals. He has points in 17 of his last 21 games. …Two of Ryan Kerr’s four goals this season have been game-winners. … The Eskimos are fifth in the NOJHL in both goals-per-game average and goals-against-per-game at 3.71 and 4.71 respectively. BLIND RIVER BEAVERS – Blind River enters play tied with Abitibi for fifth place in the league standings. … Their lone game this week is at home Saturday as they host the league-leading Soo Thunderbirds. … The Beavers sports three players among the top 15 point producers in the NOJHL. Samuel Wilbur is fifth overall while Corey McEwen is sixth and Brandon Bazinet is knotted for 13th. The trio have 41, 39 and 20 points respectively. … McEwen is riding an eight-game point streak and has also gotten on the score sheet in 13 of his past 14 outings. … The club is fourth in the league in goals-per-game average at 3.78. They are six however in goals against per outing at 4.72. ELLIOT LAKE BOBCATS – The Bobcats are on the road for a pair this weekend at Kirkland Lake Friday and Abitibi Saturday. … The club is 7-4-1 when scoring first in a game so far this season, but 1-18 when their opposition gets on the board first. … Elliot Lake has scored the fewest goals in the league so far this season at 86 with their 166 against being the second most given up in the league. … Steve Gaul’s 22 points leads the squad. … Henry Berger is next with 20 followed by Brad Holman at 19. … Six of the 10 tallies Nicholas Tassone has notched this season have come on the power play. … After this week Elliot Lake plays five of their next six on Centennial Arena ice. KIRKLAND LAKE GOLD MINERS – The Gold Miners will look to build on a two-game winning streak as they host Elliot Lake and Sudbury this weekend. …The club sits firmly in fourth place in the league standings at 18-15-2-1. … Captain Connor McNally still leads the team offensively in both goals and points with 17 and 27 respectively. He is also presently on a six-game point streak with three tallies and six helpers during his run. … Nine of Steven Babin’s 14 goals have come on the power play which is the most in the league. … Defensively the Gold Miners have only given up on average 3.17 goals a game, which is the third best mark in the league. … Among netminders who have played 1,000 or more minutes Chris Komma sits third in goals-against average in the NOJHL at 2.78. His three shutouts lead the league. He has also played the most minutes in the NOJHL at 1,619:39. Komma’s 14 victories are the third most overall in the NOJHL. SOO THUNDERBIRDS – The No. 14 CJHL ranked Thunderbirds play the first of six straight on the road tonight at Sudbury having won four games in a row. … They currently sit in first place in the league standings at 23-5-3-3. … The T-Birds pace the NOJHL in both goals-per-game and fewest given per night at 4.47 and 2.53 respectively. … Adam Ritchie sits third in NOJHL scoring with 53 points. 12 of them have come during a four-game point streak. … Darcy Casola (20g-27a-47pts) is fourth in NOJHL scoring. … Greg Sartoretto (12g-22a-34pts) is eighth overall in the league. … Rookie netminder Joel Horodziejczyk leads all NOJHL netminders in goals-against average at 2.30 and sits second in save percentage at .920. He is tied for 15th in the CJHL in GAA. His 15 victories are the second most in the NOJHL. SUDBURY NICKEL BARONS – Sudbury will look for win No. 10 this evening as they host Sault Ste. Marie. … The Nickel Barons have outscored their opponents 40-21 during the course of their winning streak. … The club had an eight-game win streak to begin the season. … Sebastien Leroux and Darcy Haines remain first and second in league scoring with 69 and 65 points respectively. … Leroux has only been held pointless three times so far this season. He has a nine-game point streak on the go. … Haines leads all skaters in the league in goals with 30. … He too has a nine-game point streak and sits second in power play tallies with eight. … Michael Muzyka is fourth in the NOJHL in goals-against average at 3.33. … He is 6-2 in his last eight appearances. Netminding partner Alex Laino is 6-0 in as many games and sits fifth in GAA at 3.85. … Sudbury sits third in goals-per-game average at 4.15 and fourth in markers allowed at 3.73.